Imagine a beautifully-produced 350 page coffee-table-type book, with colour photos, and images down the margin. 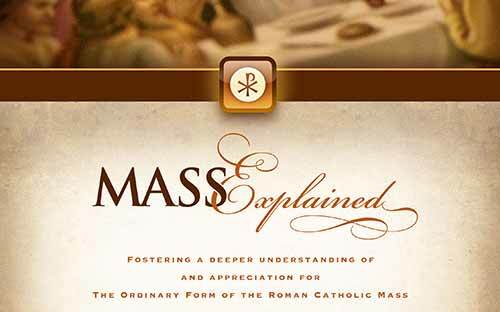 That is what you get in the Mass Explained app by Dan Gonzalez (website). If you are a generally-interested Christian, particularly a Roman Catholic regular participant at Mass, you will be delighted with this app. I keep wanting to say “book” rather than app. Because, essentially, that is what this is – a flash, 21st-century book. 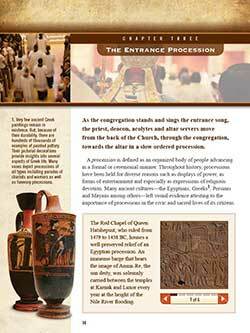 Chapters go through stand and sing; the entrance procession; the altar; venerating the altar; the sign of the cross… It is the Mass in slow motion, explaining anthropological, biblical, historical, and symbolic background to each part. There are 12 video clips of good quality embedded in different parts of the book app. The quality is retained in full screen. There are 13 “panoramas”, where you can scan around within a scene in a full circle. The scholarship is solid, conservative (there is no need to read that pejoratively, don’t expect radical or revisionist opinions to be presented here) and accesible. This is what Dan wished he had known when he was 25 years younger. In my reading so far, and my skimming around, I have not found anything to disagree with or grating. Of course I may have expressed things a bit differently (I stand by my 5-part collect structure, Dan has a 4-part structure, combining the Petition and the Purpose into just “Petition”). Minor points: the smaller images are generally of a resolution that cannot be enlarged by the taken-for-granted spreading-fingers manoeuvre on iPads – they will be too pixelated. Similarly, those images are not suitable for projection in a class or larger using this app. There is no search function. There is no way of copying and pasting text. You can click some parts of the book and it goes to another section as one would expect – then I click somewhere else (say a footnote number) and expect to move, and I find nothing moves, and that we are back in 20th century technology of hunting for where the footnote is. Links to websites might have been of value. And in the panoramas, being able to move more through the scene rather than merely spin around one point. Suggested questions for reflection or discussion in a group would enhance each chapter. As I say – minor points. 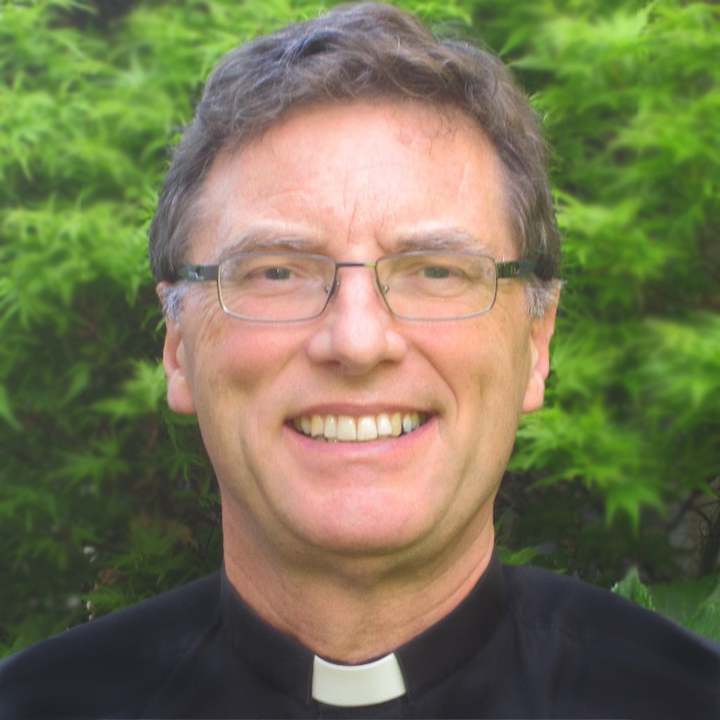 This is a book-app ideal for RCIA, senior secondary schooling Religious Education classes particularly in Roman Catholic schools, non-Roman Catholics with a serious interest in Roman Catholicism, and much of the book-app relates to what can be encountered and understood in Anglican, Episcopalian, Old Catholic and other Christian traditions. May it also inspire others to start moving into the 21st century and making resources using the digital possibilities available for education, formation, ministry, and mission. This is Volume I, covering the gathering rite and the Liturgy of the Word. I look forward to Volume II. We seem to have been promised such things for a long time — at least since the 1990s. I am very glad to see they are coming through at last. It seems ridiculous that people are still writing paper books about the performing arts or their practitioners rather than apps with sound or visual files.